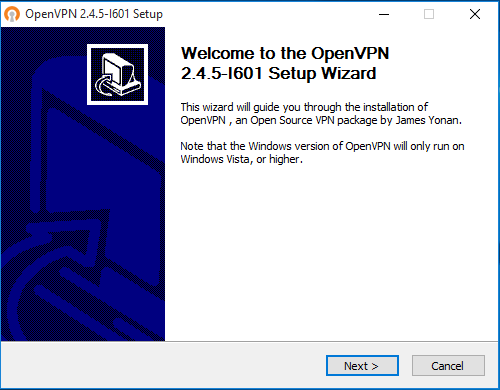 To Install the OpenVPN GUI application Run (double-click) the installer. Allow app to make changes (Choose Yes). 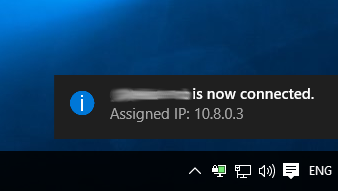 Note: If the installer needs confirmation to install a TAP network interface, please allow it too. 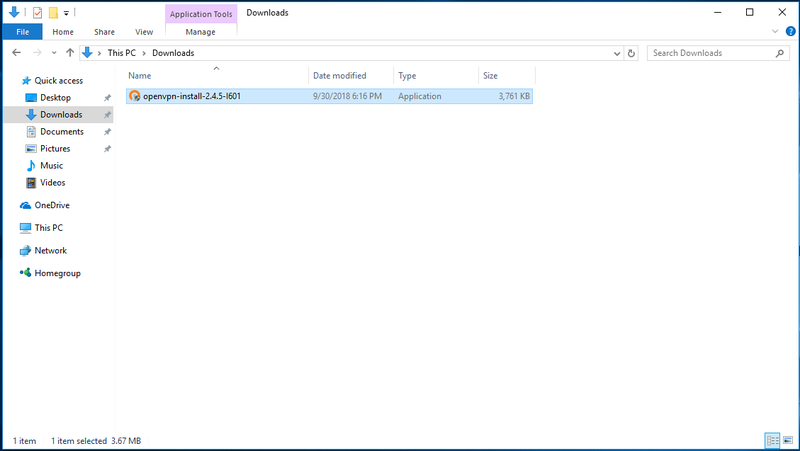 Once the application is installed, download your configuration file(s) and place it to your Desktop or Documents folder. 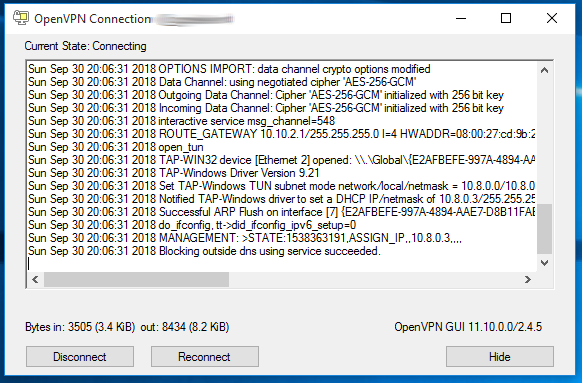 Note: You can find your configuration files in your emails (check spam folder too) with subject: “Your VPN configuration files“. 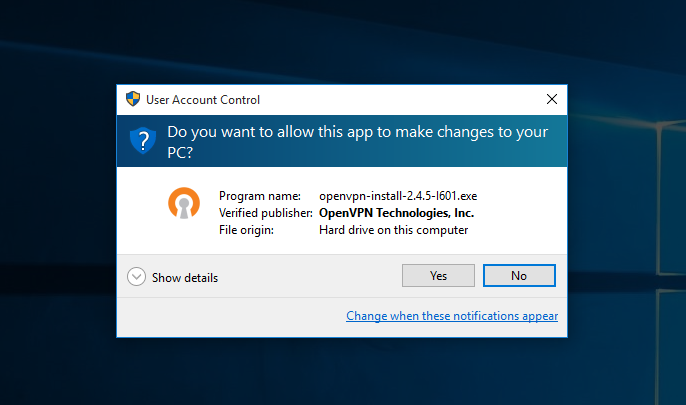 Open the OpenVPN client and allow the application administrative permissions – it’s necessary for a VPN connection. 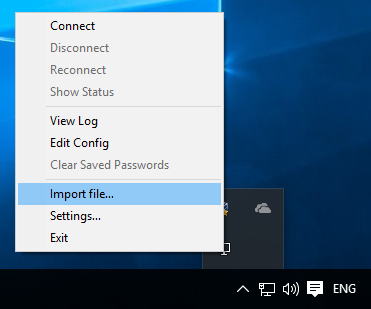 Right click the application icon, click “Import file …” and choose your configuration file from your desktop or documents folder. 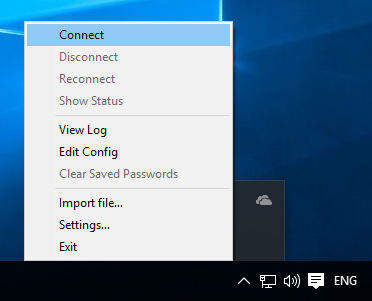 Right click the application icon, hover over one of the servers (if you there are more than one), and/or click connect. 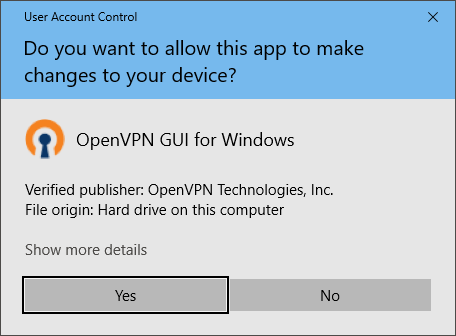 You will notice for a moment a similar dialog, like below, verifying that you are connected to the VPN. Verify all your traffic is being redirected through the VPN: Now, you can open your browser to https://whatismyipaddress.com/ and verify that your using your server’s ip address.